A front-line industry insider’s look at the financial technology explosion. The FINTECH Book is your primary guide to the financial technology revolution, and the disruption, innovation and opportunity therein. Written by prominent thought leaders in the European, UK and Hong Kong fintech investment space, this book aggregates diverse industry expertise into a single informative volume to provide entrepreneurs and investors with the answers they need to capitalize on this lucrative market. Key industry developments are explained in detail, and critical insights from cutting-edge practitioners offer first-hand information and lessons learned. The financial technology sector is booming, and entrepreneurs, consultants, investors and asset managers are scrambling for more information: Who are the key players? What’s driving the explosive growth? What are the risks? This book collates insights, knowledge and guidance from industry experts to provide the answers to these questions and more. The fintech market captured over $14 billion in 2014, a three-fold increase from the previous year. New startups are popping up at an increasing pace, and large banks and insurance companies are being pushed toward increasing digital operations in order to survive. 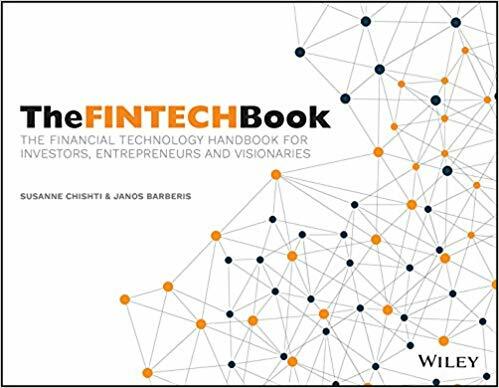 The financial technology sector is booming and The FINTECH Book is the first crowd-sourced book on the subject globally, making it an invaluable source of information for anybody working in or interested in this space.